Summary (from Goodreads): Isabella Swan's move to Forks, a small, perpetually rainy town in Washington, could have been the most boring move she ever made. But once she meets the mysterious and alluring Edward Cullen, Isabella's life takes a thrilling and terrifying turn. Up until now, Edward has managed to keep his vampire identity a secret in the small community he lives in, but now nobody is safe, especially Isabella, the person Edward holds most dear. The lovers find themselves balanced precariously on the point of a knife-between desire and danger.Deeply romantic and extraordinarily suspenseful, Twilight captures the struggle between defying our instincts and satisfying our desires. This is a love story with bite. I know what you're all thinking. "Twilight? Seriously? She's reviewing Twilight? How original!" Well, hear me out. Because there is a point to this, I swear. Let me begin with a disclaimer of sorts: I have been on both sides of the Twilight debacle. I lived and breathed all things Twilight back before the entire franchise went BOOM. My paperback copy of Twilight has been read so many times that I swear there are indents where my fingers held the pages. I was, in a word, obsessed. But as time passed and I began reading more and more YA, I began to realize just how... well, not how bad Twilight was, but that it wasn't exactly the groundbreaking novel of the century. And I sort of began to resent the series for being so popular, and for making it seem like every teenage girl who read YA was just another crazy Twilight fangirl. Re-reading this novel opened my eyes to a few things. The first of which was this: at its core, this is a romance novel. A young adult romance, at that - and not a particularly believable one. But it does have its moments, and those are the ones that made everyone swoon. Mixed in with the cute moments are some incredibly weird ones - I draw the line at tasting peoples tears - that really did nothing except make me wonder why it became so popular in the first place. I have read so many horrible reviews of Twilight, proclaiming it to be the worst book written since Hitler's, but it really isn't. And it's also not the best thing ever written. It's somewhere in between - perfectly mediocre, in my humble opinion. And that's perfectly alright. Because while it may not have been as incredible as everyone believed, it was responsible for kick-starting my love of reading in my teen years. I'm always going to stand by my love of this series. I found it in the library before the third one ever came out. Before the movies, before the hoop-la. And I fell in love with it. I read Twilight and New Moon *in a single sitting*. Back to back. Literally. I didn't move for an entire afternoon because I was so engrossed in the world that Meyer had created. It was a love story that I loved. It was a paranormal world that was *unique* from the ones I had previously read. And that was good enough for me. Some of that wonder has now died, thanks to the whole franchise and the popularity that came with it. But I'll never forget that day that I discovered Edward and Bella by myself in my apartment. I know exactly what you mean. I bought New Moon a few weeks after its release, and I remember sitting in my room reading for hours as it rained outside. Nothing can compare to the first time I was sucked into the world of Edward and Bella - but for me it's been tainted now by all the fame and the people who point out things that are a little 'off'. Little by little these things started piling up, and by the end I couldn't take the novel seriously even though it was, at one point, my all-time favourite. I agree!! I was obsessed with Twilight and read it over and over! And counted the days until the new books were released. Then the movie came out and they were horrible and I went to the other side of the fence, rolling my eyes at twilight fans. 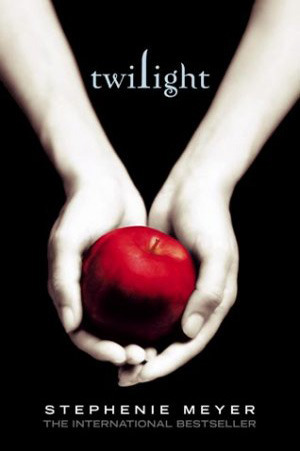 I never read YA before Twilight, but I think it started the YA craze that's going on now. At least for that it deserves some recognition. Exactly! And I can't say I don't appreciate it for opening the doors for other amazing YA authors to get published, as well as rebooting the paranormal genre of books. For me, the changing of sides was a little like noticing an annoying habit someone has, and then you start noticing all the other little ones that drive you crazy and suddenly you can't stand the person. I couldn't believe all the stuff that I'd missed (like the extreme overuse of the word 'murmur'...). I agree with the 2 ccommenters above. Twilight did a lot for YA when it first came out. Everyone I met was loving Twilight and then suddenly, because of the movies? ?, everyone was hating it. Twilight introduced me to the wonderful world of YA. It was enthralling and cute and romantic all in one. I still believe that what it did during its time was fantastic. A lot of books and authors got to where they are now because of Twilight...for good or bad! I totally agree! So many authors will tell you that Twilight gave them the inspiration or the courage to write their own YA novels, and the YA genre would definitely be a dull place without a lot of them.